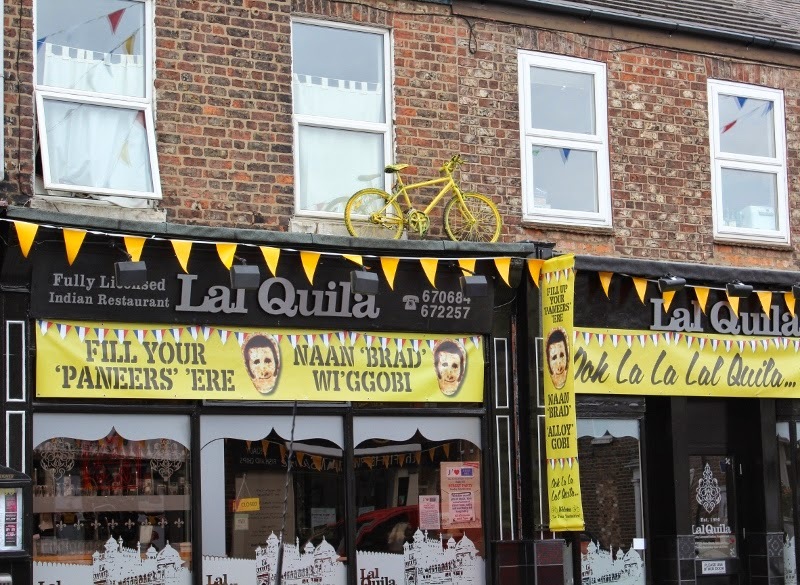 With a familiar face on those naan breads this Indian restaurant is celebrating summer 2012 when Bradley Wiggins won both Olympic gold and the Tour de France. Sadly Wiggo will not be featuring in the Tour on his home patch of Yorkshire.. I thought he was an exiled southerner living in Lancashire? Fab, yes I know the north-west and London also claim him as their own! What a weekend it will be there!